Hotel photography rules and standards have changed quickly. Previously, any photographer could shoot your hotel. Resolution requirements, brand standards for photography, and images rejected by websites did not exist. Read these 7 tips to ensure your company has adapted to the changing of the times. Major hotel brands now demand quality and consistency, albeit slightly behind the major OTAs like Expedia and Booking.com. They require more images per room type to better sell (and upsell) various room types. Choosing the right hotel photographer is crucial to telling the best visual online story for your hotel. If the wrong photographer is chosen, shortcomings may include blurry images, no way to target key segments and lower ADR. 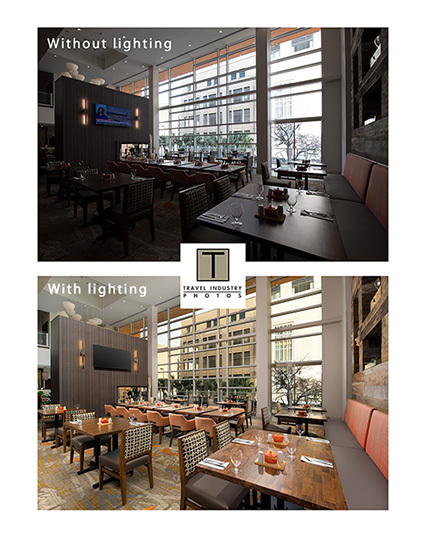 Successful hotel photography can be achieved when starting with these basic yet crucial steps. The key to displaying the various parts of your property in an aesthetic manner comes down to a visually pleasing image. The single most important aspect to achieve this is the lighting of that image. Since the era of digital imaging, the options for how an image is created have changed dramatically. Technology has both helped photographers to become better in their lighting technique, and sad to say, sometimes lazy, in its process. There are many who rely on “AUTO” far too much… auto exposures, auto fill , auto-correct help in Photoshop, and of course the far too coarse look of HDR manipulation. Technology should be an assist, not as the final fix of how to light a space. One premium technique is a layering process in Photoshop. It involves the capturing of a single photo by shooting anywhere from 20-40 exposures from the camera, locked down on a tripod. Each of those exposures is lit with either a “step-exposure” or a photo-flash placed in a specific part of the room. Each angle of light form these exposures creates a piece of the puzzle to create a quality final image. These exposures are then blended by hand within Photoshop itself, a process that can take up to 45 minutes for each final image. This can be laborious to be sure, but the results speak for themselves. Make sure you understand what each photographer offers regarding ownership and usage of the images. The final photos can be just what you wanted, but it won’t matter if you suddenly discover you’ll have to pay extra for each time you use them. Request in writing that the photographer will provide you with a final usage agreement upon completion of the project. These rights should be unlimited, in perpetuity, and in writing. A great number of brands now make this mandatory when submitting images for final consideration. Ask if the photographer will be using the images for their own marketing or photo gallery. Loop in the photographer a month or so prior to actually needing to book them. The best talent books up quickly, specifically in the spring and summer months. Try to book the hotel photographer within a few weeks of opening, as most brands really stress having a completed professional photo shoot completed and uploaded within the first month. 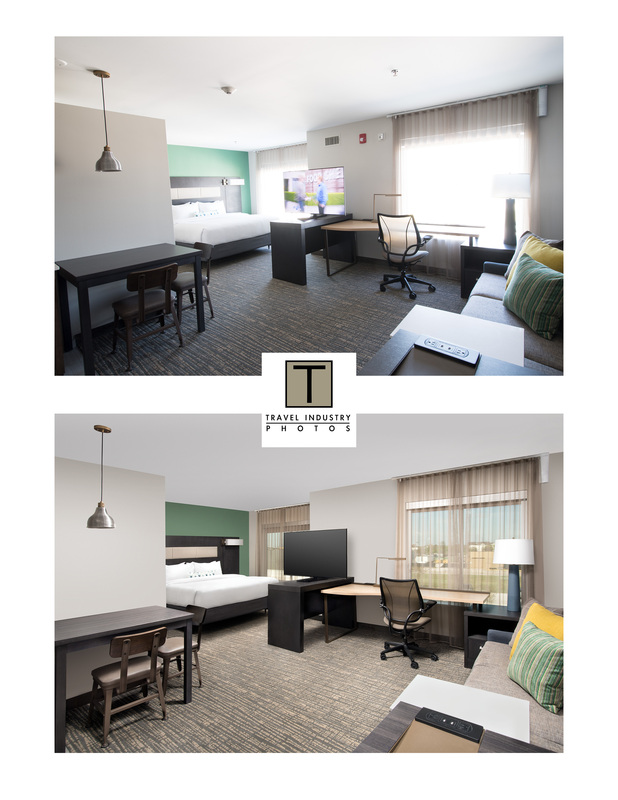 When looking to hire a hotel photographer, ask specifically what the turnaround time for the images will be. While many photographers look to have post-production work completed within two weeks of the shoot, some photography providers have been known to take far longer than that. It’s not uncommon for a property to have to wait up to a month or more if the company doesn’t have a firm grasp of their workflow. Discuss up front with the photographer you plan to hire, so everyone’s on the same page regarding timeline of final image delivery. The most successful hotel shoots are conducted by a hotel photographer that can script the shoot to best take advantage of timing. There’s a careful balancing act that involves minimizing the guest impact, while utilizing the available labor pool at the property. The photographer should work closely with the breakfast host and crew, the maintenance manager, the front desk staff among others, to help pave a path of understanding as to what would be needed. Brett Patterson wrote this article with Stephanie Smith, owner of Cogwheel Marketing. Contact Stephanie for any assistance you might need in strategic account management and comprehensive online marketing advice…… https://www.cogwheelmarketing.com/. 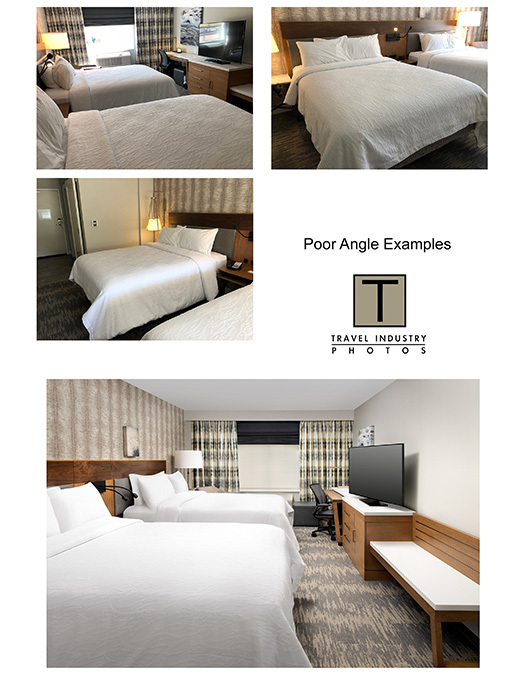 Why Is Quality Important in Hotel Photography?